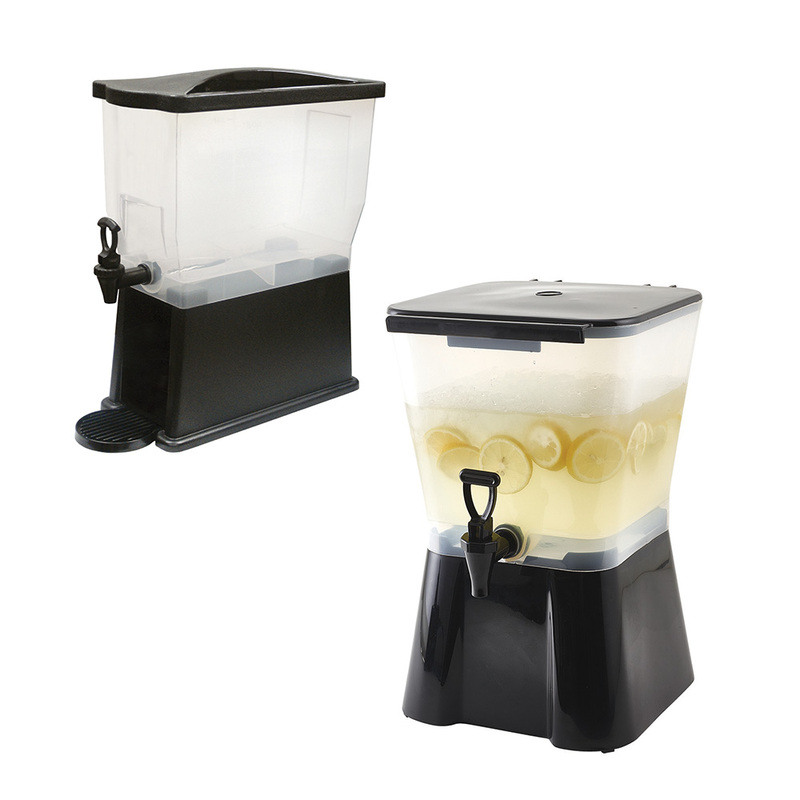 An excellent option for limited counter spaces, the 3 gallon slim rectangular beverage dispenser has a graduated reservoir that detaches from an 8″ high stand to pack up neatly for compact storage. For more spacious counters, a 3 gallon square dispenser is also available. Categories: BEVERAGE SERVICE, FRONT OF THE HOUSE, Plastic Beverage Dispenser, SMALLWARES.